Talley Petroleum Enterprises has been the leading fuel supplier in Pennsylvania since 1961. Today, we have expanded our services to include wholesale fuel purchasing. Now, other fuel providers can buy various distillate products from us right off the rack at terminal locations across the state. Talley Petroleum wholesale customers enjoy the benefits, like competitive fuel pricing and superior customer service, that have defined our business for decades. 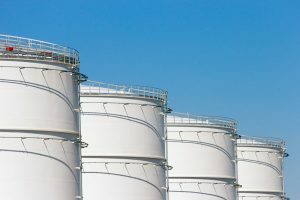 If you are a local fuel provider seeking competitively priced liquid petroleum products, you’ve come to the right place! Talley Petroleum is pleased to offer wholesale purchasing options for a wide range of premium fuel products. Talley Petroleum offers wholesale customers options and flexibility when it comes to the purchasing and sourcing of their product. From competitive daily rack pricing to competitive contract purchasing, we have fuel conveniently positioned throughout Pennsylvania, for your everyday purchase and consumption. Below is a list of some of the regions we are currently marketing product, however as a growing company if you don’t see a market that suites your fueling needs, please contact us to set up a time to meet with an Account Manager. We would love the opportunity to learn about your business, discuss your current fuel consumption and purchasing requirements, and to grow with you. Are you interested in purchasing wholesale on-road diesel, off-road diesel, or heating oil, in Pennsylvania? Contact Talley Petroleum to set up a meeting with one or our Account Managers and become a wholesale customer today!